The most exciting development in hair services is the new Keratin Treatment. Keratin Smoothing Hair Treatment is the latest trend in repairing and smoothing hair. It is a highly effective process which uses a topical treatment rather than a chemical alteration of the hair, providing no damage to the hair. Keratin is for anyone who wants low-maintenance hair styling, extreme shine, and smooth, silky hair for four to five months. Dennis Lee has performed many of these treatments with amazing results. He is Board Certified on doing these treatments. This is the only product on the market that cures split ends and repairs damaged and dry hair and gets rid of 100 % of all the frizz for four to five months. Dennis carries 3 different Treatments depending if the client wants to keep all their curl and get rid of 100 % of all the frizz, if she wants to loosen up half their curl and get rid of 100 % of all the frizz or if the client want 3/4 of the curl gone or mostly straight and get rid of 100 % of all the frizz. Some of his clients received this treatment on their curly, frizzy hair and went to the Caribbean; even in the humidity, their hair remained straight, smooth and shiny. Can you imagine having perfectly silky, shiny and smooth hair in heat and humidity? Also, your blow dry time is cut in half! 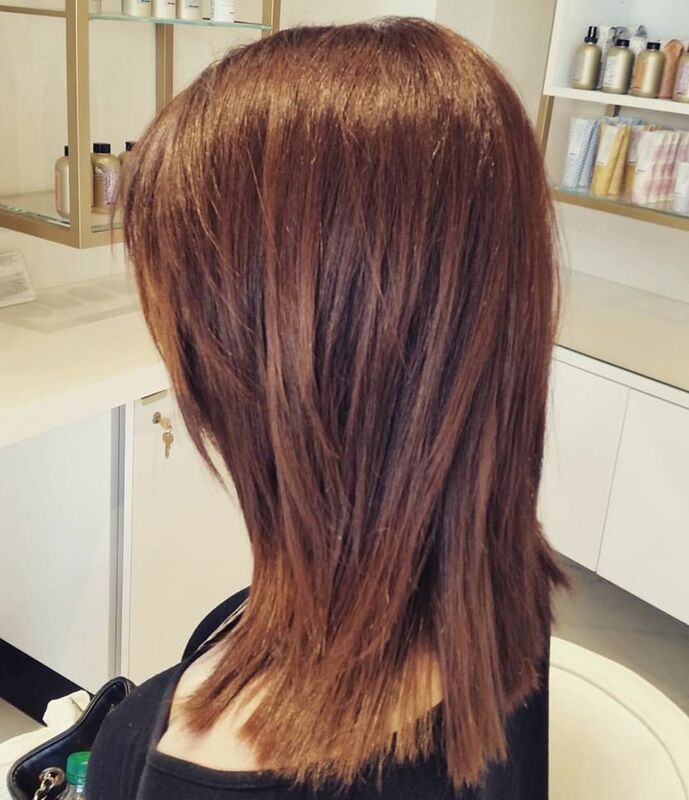 The Keratin Treatment only takes about two hours to complete; half the time and price of other straightening treatments. It is not a chemical treatment like the Japanese Straightener. It is a natural Organic Keratin Protein that gives the hair moisture and takes out the frizz and curl for four to five months. You can also begin curling the hair a week later. Dennis is happy to answer whatever questions you may have about Keratin Treatments. Simply give him a call - he designs and styles at the Armando Salon.